If you have an automatic pistol, you will have felt the frustration when the, say 23 BB magazine runs out so fast that you do not even enjoy the burst. That is why someone invented extended magazines, but it was still not enough. 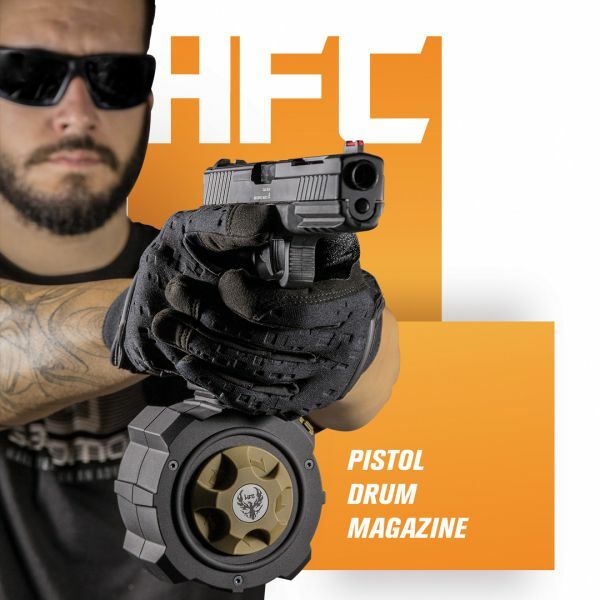 Now HFC surprises us with a drum magazine for Glock type pistols like the one for the real models. 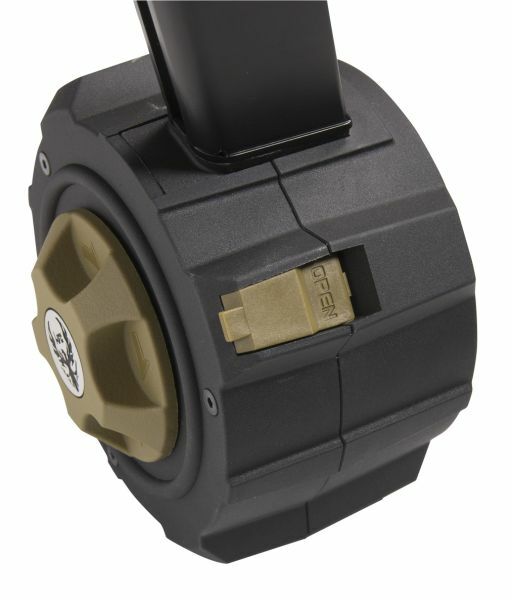 And now you can finally get the most of the full-automatic mode of your secondary weapon. 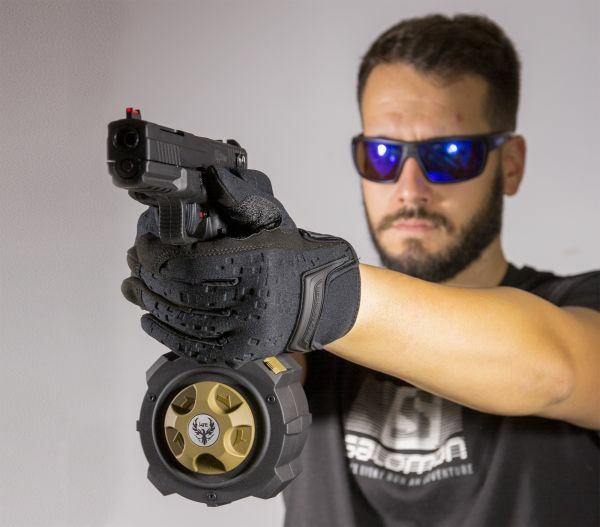 Although it may seem heavy and bulky at first, this magazine has been designed to reduce its weight below one kilogram and thus not unbalancing the weight of the pistol. 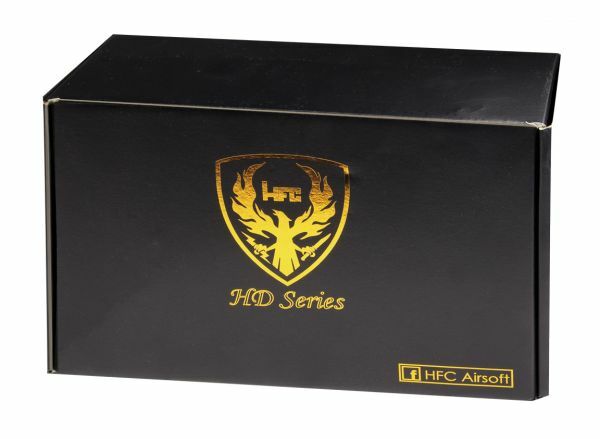 In addition, the design is very compact so, although it does not fit into a conventional gun pouch, it does not get in the way when playing with it. When you try it, you will notice how the extra weight it provides the gun helps to some extent to control the upward movement generated by the blowback of the slide. 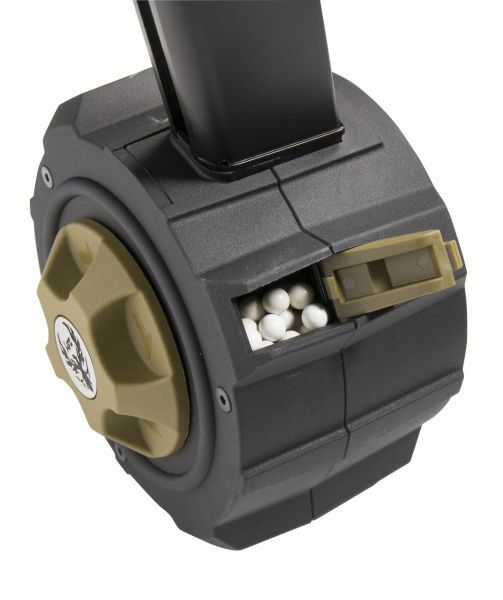 The most interesting feature of this magazine is the extra capacity it provides when shooting. It is not intended to be carried in a pouch, reloading is not very fast, nor does it work to carry it with the gun in its holster. Make the most of the functionality of this magazine by carrying the gun as the main replica, for example in a CQB scenario, or when mounted in an SMG kit that turns it into a submachine gun. 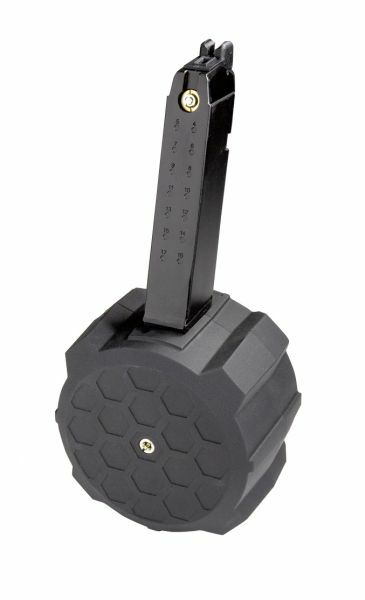 Let us not forget that it is a gas magazine and not an AEG. So no endless bursts. What is more, if you want to make the most of it, fire short bursts and take a few seconds for it to return to room temperature before firing again. This will ensure that the magazine does not freeze and that the gas performance does not drop dramatically. Also, make sure the first five BBs hit the target, otherwise the rest of the burst that follows is likely to miss it. A wooden M16 that shoots?